For Sale: Retiring and selling my collection of hand guns. 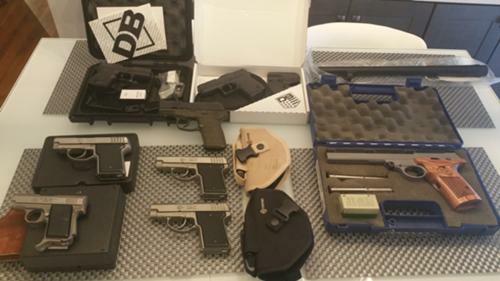 The first of collection is four rare AMT stainless steel backups in the following caliber one 380, one 40 cal and two 45 calibers selling the lot for 1650 dollars. Next is Rare Talo Edition Smith and Wesson SW22 in two tone - target model for 600 dollars. PLEASE NOTE ALL FFL RULES APPLY TO TRANSFER OF HANDGUNS. May entertain trades for Desert Eagle, Kimber , Heckler Koch..... or???????? ?